Stock # BR0426, 10 mi. 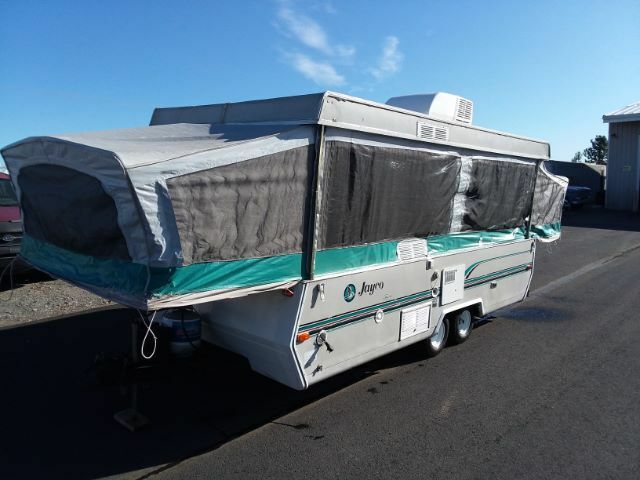 Located in East Showroom - This is a nice 1995 pop up tent trailer that is clean and was well cared for. The tires (to include the spare) are new and it comes equipped with a large working air conditioner. Water pump, hot water heater, lights, heater, and refrigerator all work. The trailer folded up is 15 ft. long and 7 ft. wide and has a seven prong round electrical plug to operate the electric brakes. There''''''''s an awning on the walk-in door side that runs the full length of the trailer. Call or come on by for more information.